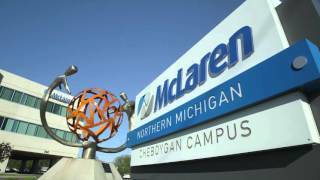 Welcome to McLaren Northern Michigan-Cheboygan Campus, where health care services are given, where access to a higher level of care is seamless, and where highly skilled friends and neighbors continue to grow in their health care careers. Here, you have access to primary and specialty care physicians, outpatient surgery and procedures, 24/7 emergency services and rehabilitation and therapy services. Staffed by board-certified Emergency Medicine Physicians. If your loved one is transferred click here. Family Practice: McLaren Northern Michigan Cheboygan Campus has formed a partnership with Alcona Health Center to enhance the existing primary care service within your community. New services will be offered including behavioral health and dentistry. With reduced visit payments for the uninsured, lower prescription costs, and access to the Vaccines for Children Program, our new partnership means a healthier Cheboygan County!